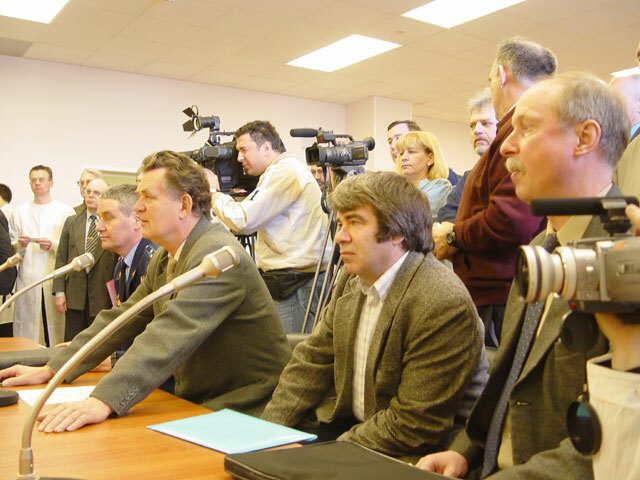 April 8, 2004. 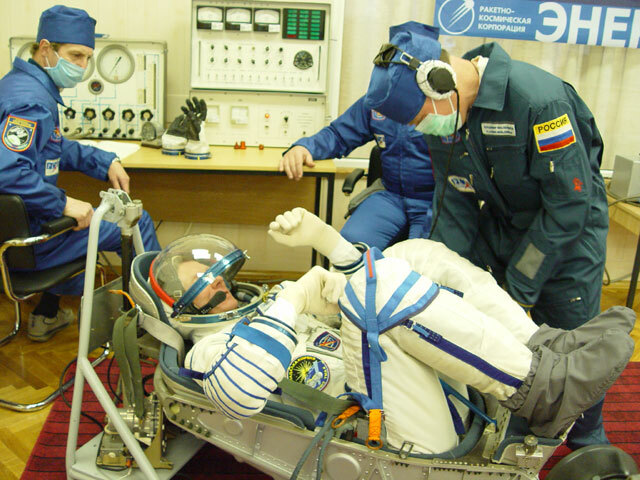 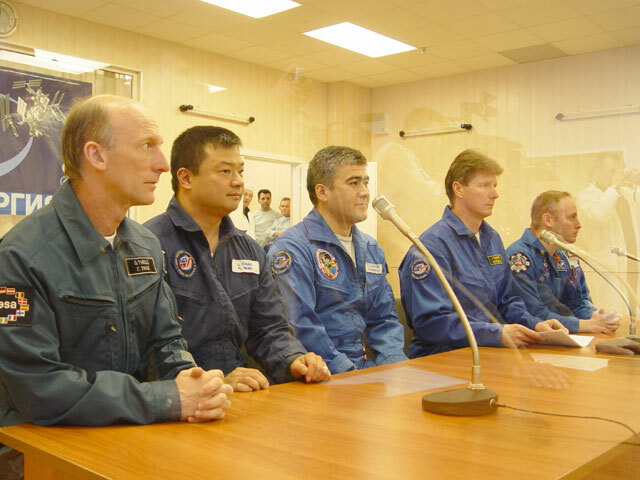 Baikonur Cosmodrome.In the Cosmonauts Preparation Room. 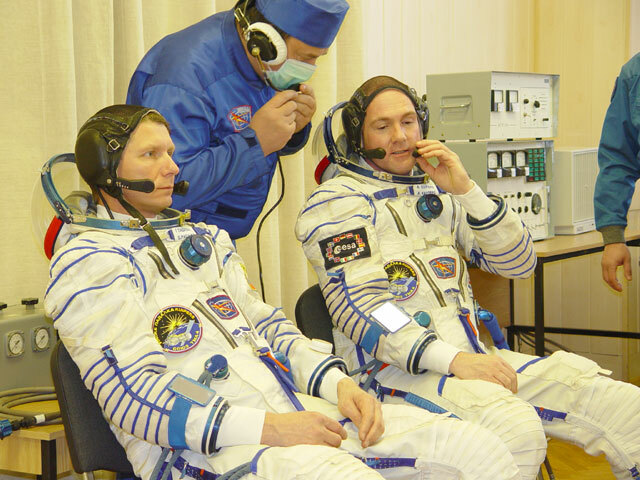 Russian cosmonaut Gennady Padalka (Commander of the ISS-9, Commander of the Soyuz TMA space vehicle), american astronaut Michael Fincke (Flight Engineer of the ISS-9, Flight Engineer-2 of the Soyuz TMA space vehicle) and European Space Agency Dutch astronaut Andre Kuipers (Flight Engineer 1 of the Soyuz TMA space vehicle) during a fit-check of the space suits and individual seat liners.